Join us on Saturday and Sunday to help make cycling in cities better. 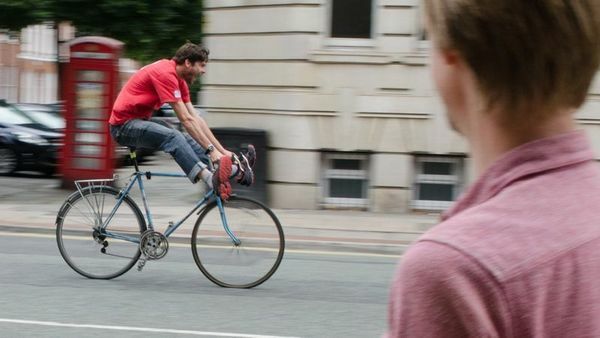 Along with 35 cities from around the world, we are getting the people of Manchester to take a DIY approach to help reduce the barriers to cycling. Here's a little bit about this year's weekend schedule and how you can get involved! 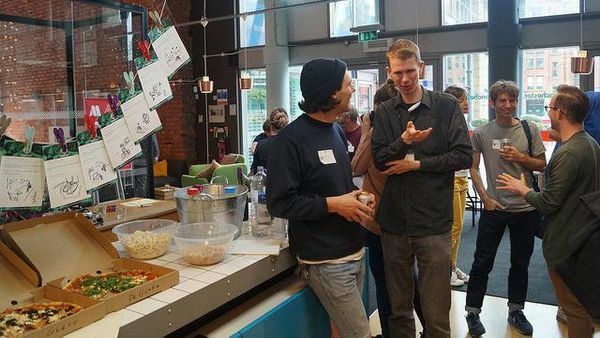 Following the talks, you'll have a great opportunity to meet others and discuss barriers to cycling and therefore helping prep the CycleHackers for the Saturday kick-off. We'll start with quick team forming and getting you to explore an idea using techniques like storytelling. After making a first prototype, we encourage everyone to test their idea with others outside of the CycleHack event, on the street and in the environments they’d be used. We hope you can join us for a cycle over to the Lady Pedal Festival at 3pm which will also be a great playground to test your ideas with friendly people. Please feel free to BYOB (Bring your own Bike/Beer)! Taking what you've learnt from the first day, you will have some time to make small changes and upload the CycleHack idea to the global CycleHack Open Source Catalogue. Finally, you and your team will have the chance to reveal (or show off) your wonderful CycleHacks to the rest of the group. Presentations will start around 3.30pm, everyone's welcome to watch. Now in its fourth year, CycleHack is an annual event, taking place in over 35 different locations simultaneously on one weekend in September. CycleHack is on a mission to make the world more sustainable through encouraging citizens to take a pro-active, DIY approach to reducing the barriers to cycling. We believe that through empowering individuals, organisations and governments to collaborate, share skills and prototype new cycling ideas, we can build a healthier, more active and sustainable world. Ideas will be implemented and tested in the city to see how they might work in the real world. All the ideas created are then shared on the CycleHack Open Source Catalogue for the world to see, share and use in their own cities. I can’t make the whole weekend. Can I still come? Ideally, you’ll be able to make the whole event and to support the building of hacks throughout, but you are under no obligation to stay the whole time. Please still register and let us know on Twitter if you would like to only come to the final presentations. I’m not a cyclist. Can I come? Of course, everyone is welcome! If you consider yourself a non-cyclist, then this is the perfect opportunity to hack the barriers which stop you from getting on the saddle. We want to make the world bike-friendly for everyone. 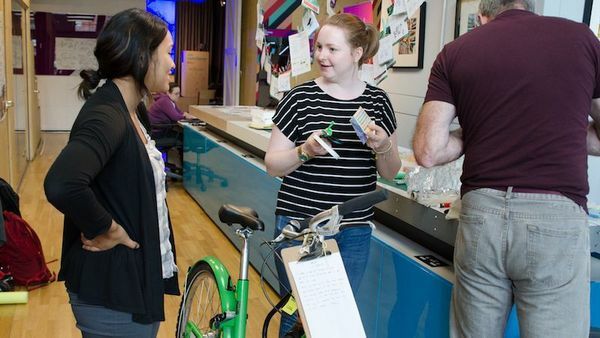 A CycleHack can be a tangible prototype of an idea which addresses a barrier to cycling. It can also mean to retrospectively modify current infrastructure, policy and / or cycling products & services using a cyclist’s intuition.